More and more, I skip trends and just look for pieces that I love. My regular haunts these days include several Soho consignment shops, where I can find beautiful designer pieces that are just a few years old for much less than their original cost. These are perennial pieces that I'll easily wear for years — not a fleeting trend. It feels right. Oh, but then I do sometimes find a trend that I love, love, love. 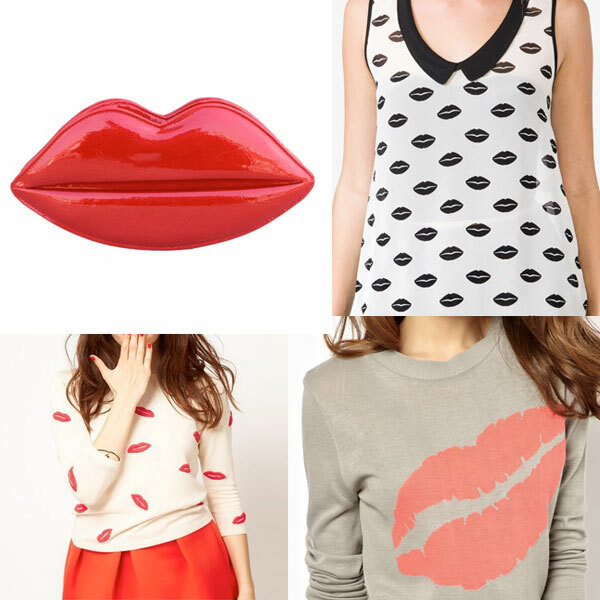 Enter the "lips print" — ever since Miuccia sent it down the runway on perfect pleated skirts I've lusted after it. (Also loving this season: the box clutch, the pointed-toe D'orsay heel, the army jacket.) Luckily, lips are starting to appear everywhere — even on jeans.